Last night at Test Kitchen LA with Alain Giraud. Last night, Alain Giraud made a spectacular debut on the first of his four nights at Test Kitchen LA. Then the chef warned diners they should return later in his run because the first night is always a bit rocky. The man sets a high bar for himself. Though he's currently without a permanent home -- Anisette closed the end of September -- Giraud is testing ideas for his new concepts, supposedly one in Palos Verdes and another in Pacific Palisades. Who knows what will come to fruition? 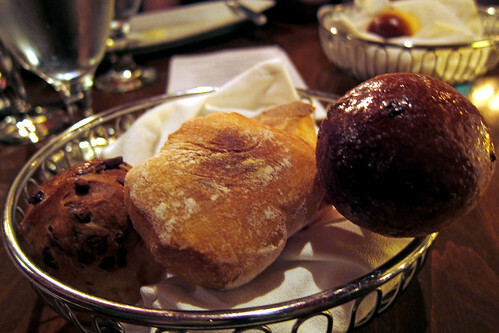 We do know the 7-course, $70 meal was absolutely worth the splurge. Perhaps to extend the fennel theme, which shows up in the first course as part of a fennel cream, the cocktail menu included The Fennel Countdown, a mix of Mirabelle plum brandy, green chartreuse, fresh lemon and fennel air. Fennel air? 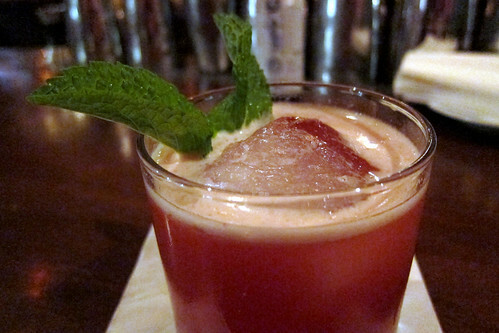 What does the bartender do, burp fennel into your drink? I went with the tamer Chateau du Sang (would that be chateau of blood? ): Blanc de Chambery, bourbon, house-made fig jam and absinthe mist. It was fantastic. 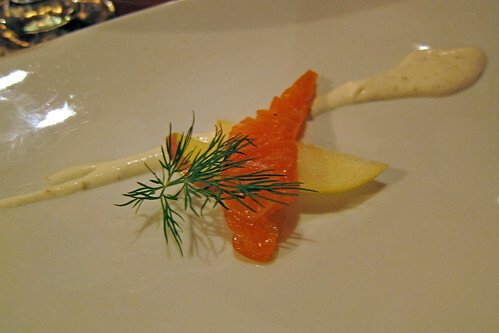 Amuse Bouche: raw salmon with fennel cream. 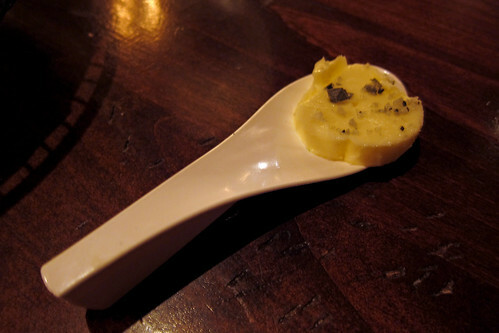 and Giraud's truffle butter, it's been a week of spectacular spreads. 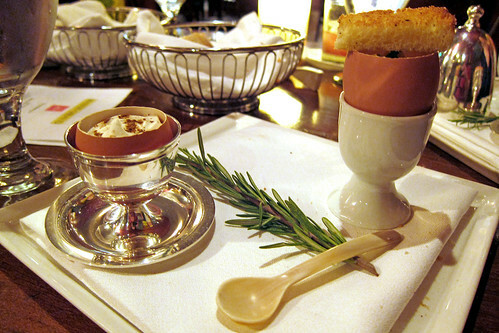 Town & Country Eggs: On the left you have Town, an egg custard topped with porcini mushroom powder. On the right, there's Country: an egg "risotto" (I'm not sure what to call it but the texture was creamy and crumbly, like small risotto grains) liberally studded with bacon. 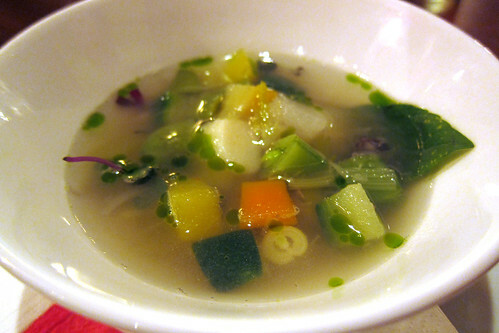 Vegetable soup with a basil and almond pistou and produce from the Santa Monica Farmer's Market. These are the largest Coquille St. Jacques I have ever seen. Normally, they're the size of pencil erasers and sitting in a puddle of cream. 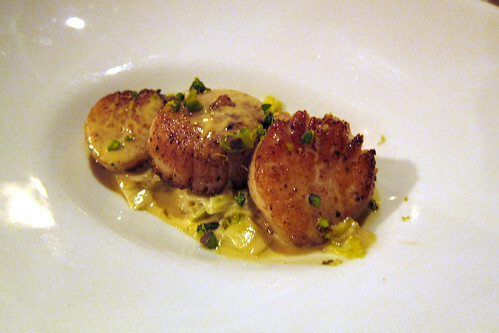 These super-sized scallops were lightly bathed in a sweet butter sauce with pistachios and a hint of Meyer lemon. 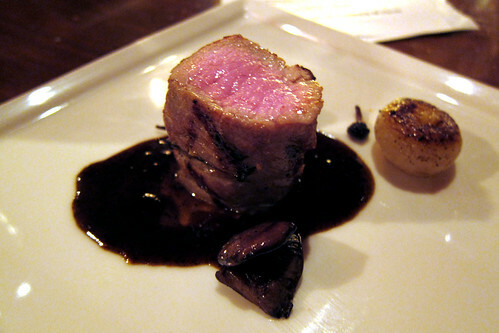 The veal, noticeably tough, was the only disappointment of the meal. The black truffle sauce, however, was excellent. Once again, what looks ordinary, tastes extraordinary. 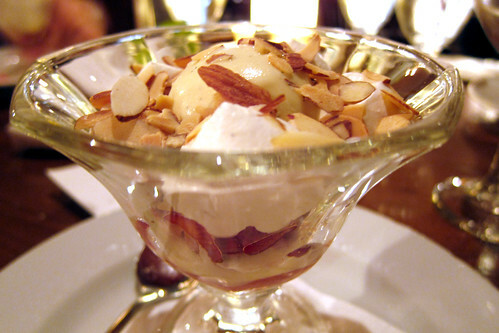 This humble ice cream parfait made with vanilla malt ice cream, fresh strawberries and almond cream, blew me away. 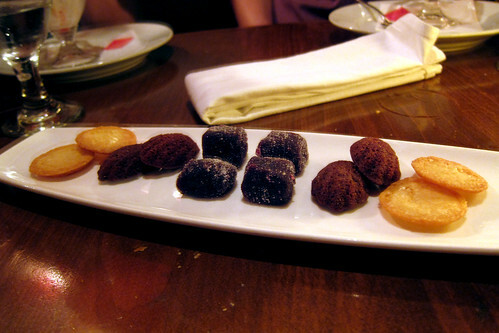 Les Mignardises: Almond butter cookies, chocolate madeleines and the standouts, cassis gelee cubes, which tasted as though Giraud had somehow condensed a jar of jam into a half-inch cube.